Crow Canyon Systems, provider of business applications for Microsoft SharePoint and Office 365, will showcase its IT Help Desk in a free webinar January 26. Whether searching for a new help desk, seeking solutions to streamline business processes, or simply looking to do more with SharePoint or Office 365, attendees will benefit from this webinar as Crow Canyon shows how its IT Help Desk for SharePoint and Office 365 meets real business needs. 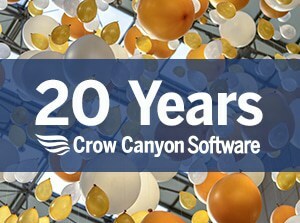 The IT Help Desk is built on Crow Canyon’s unique NITRO™ application layer that incorporates powerful enhancements to base-level SharePoint and Office 365. With these enhancements, Crow Canyon is able to provide a robust IT Help Desk and Support Center that includes Assets, Change Management, SLAs, Reporting, and more. This webinar will be an opportunity to see how Crow Canyon has built a powerful application layer on top of SharePoint and Office 365 that delivers the services needed in critical business applications, such as an IT Support Desk. With SharePoint and Office 365 rapidly growing in usage and popularity, Crow Canyon’s approach is to leverage these platforms to provide true business capabilities. Crow Canyon’s applications focus on three important areas of concern — UI/UX, Workflows, and Reporting. Its business applications have proven to increase user adoption, improve business processes, and provide important analytics that guide continual service improvement. The webinar will begin at 11 am Pacific Time (2 pm Eastern Time). It will be led by Jeff Preece, VP of Business Development at Crow Canyon. Attendees can register for the webinar here.